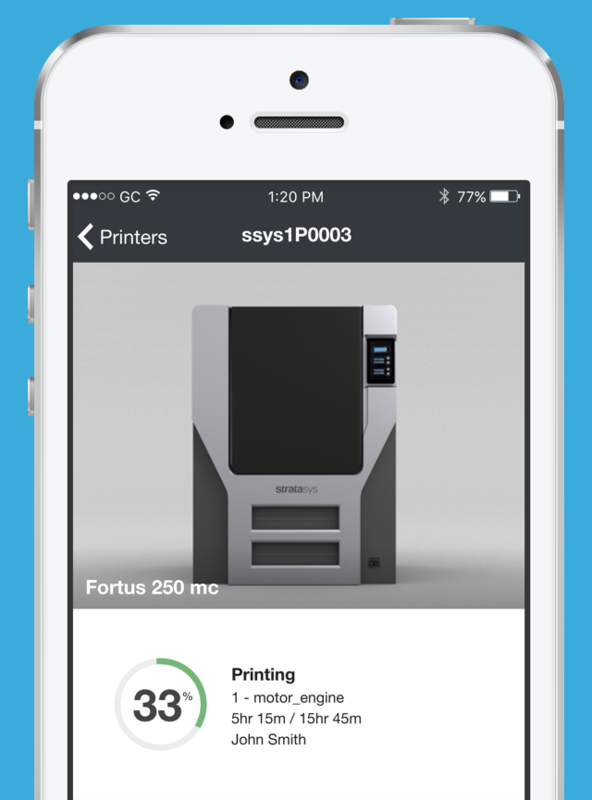 GrabCAD Print mobile apps (for iOS and Android) lets you monitor your printers from anywhere. Check the status of your 3D printers. Monitor material levels of your 3D printer. Material volumes are only shown in cm3. There are no push notifications. "End time" for jobs is not shown. Material estimations are not available for jobs in the queue.